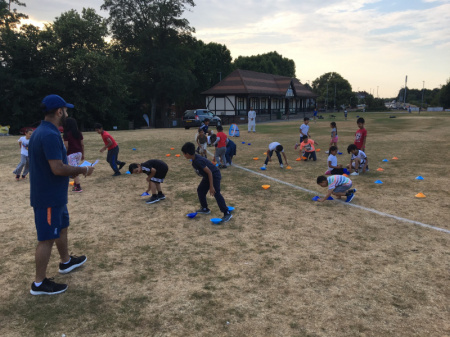 Luton Al-Jalal Mosque All Stars Cricket session started on Friday 13 July at Lutonian Cricket Club and now has 24 children having a great time and enjoying their first experience of cricket. The sessions run until 7 September. All Stars Cricket Activators Samina Mehrab and Khayam Nawaz are parents of children attending the Lutonian Wicketz Hub.